The boys are back! 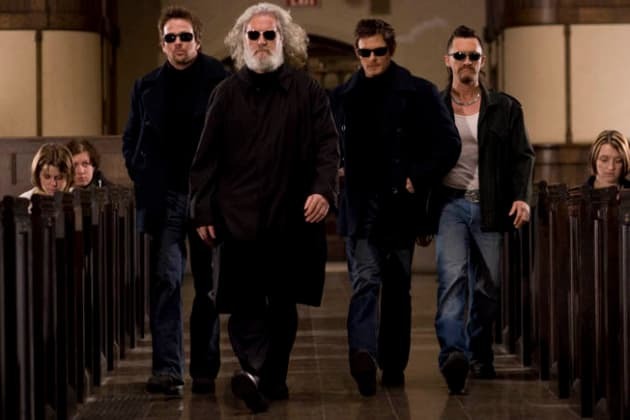 Sean Patrick Flanery, Norman Reedus and Billy Connolly are joined by Clifton Collins, Jr. in The Boondock Saints II! Poster and images from Boondock Saints 2! Peace, they say, is the enemy of memory. So it had been for my boys. For some time now, their past had felt like a dream. Then, suddenly, it was back. These saints put my father on his knees! Permalink: These saints put my father on his knees! Troy Duffy Calls 'Overnight' Filmmakers "Douchebags"
The McManus Brothers Discuss Boondock Saints 2!